8 fun camps offered this summer! Offering 8 Fun Art Camps! Registration closes Thursday night at 11 pm for the following week of camp. This gives our staff time to prepare and organize materials for the start of camp Monday. If you are interested in registering your child but missed the Thursday cut off, please call 253-752-9708 to see if any camp spots are available. 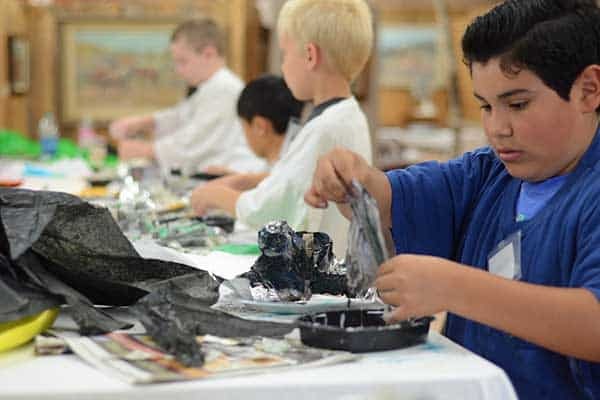 In this camp the students will get to come alive through a variety of mediums such as pencil, charcoal, ink, and pastels. Drawing is essential for every student to broaden their artistic abilities. They will get to have fun while allowing their creativity to flow! In this workshop, students will have the supervision and guidance of the teacher and assistants, while designing and creating their own projects. Tables will be set up with all kinds of art and craft supplies so the students can create freely. A variety of cultural, educational, recreational and art activities are taught under the guidance of local Indians and staff. 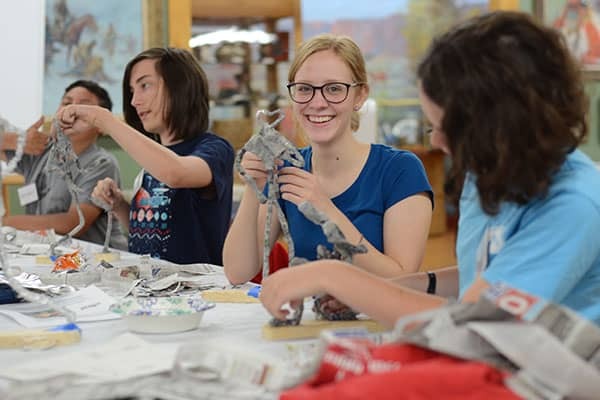 An opportunity for students to immerse themselves in the American Indian culture while learning art at the same time! This is a great camp for siblings and friends of multiple ages as all of the kids are intermixed and work alongside each other. Young artists will have fun with art while discovering their own creativity. They will be drawing, painting and creating to have a magical week! Students have the opportunity to paint, sculpt and draw using a variety of mediums to create their art projects. They will paint faces, canvasses, paper etc. They will get their hands dirty all the while learning to enjoy letting their creativity flow! 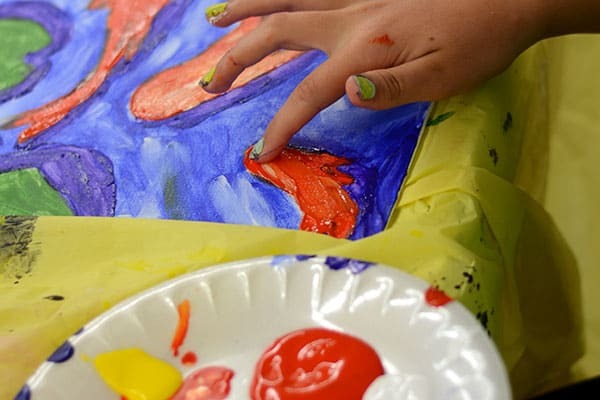 Our campers get the same thrill out of using a variety of paints to create their art as do the professional artists. The young artists will learn composition and perspective all the while exploring watercolors, acrylic, etc. This camp is always a hit with all the students. 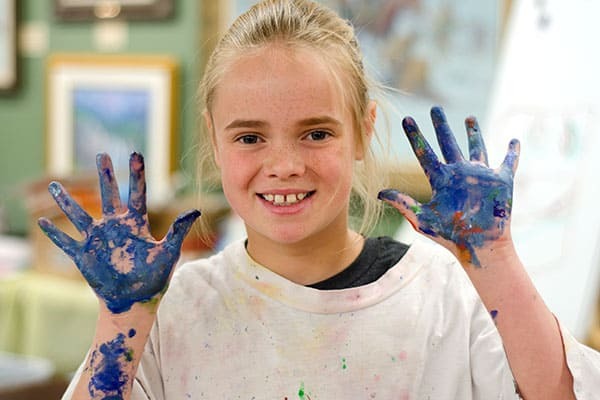 Young Artists will have messy fun while discovering their own Creativity. They will be drawing, painting and using clay to have a magical week! *Suggested age groups are flexible. Depending on how many students sign up for each age group, we may move students around to combine or split classes. Please be sure to let us know in the comment section if there is a friend (similar age) you are signing up with and we will do our best to keep you together. Please dress your child according to the weather but make sure they wear play clothes. Even when we cover them with t-shirts it is possible to come home with clay or paint on their clothes. What is the snack that is provided? We provide a juice box and snack (crackers, etc). If your child has special dietary needs we will gladly serve them whatever you provide. What happens if my child gets sick and misses camp? If a child misses 1-2 days of camp we will do our best to make up any missed projects during breaks. If a child gets ill and misses 3-5 days of camp we will let that child attend another camp at no cost (if there are still spots available) or credit your account to be used for future classes or camps. Please call 253-752-9708 to make arrangements. What discounts and deals do you offer? Register early and save!  From time to time we will offer coupon codes and promotions – sign up on our e-mail list to be notified and check our Facebook Page Fred’s Creative Kids. There is street parking along 9th Ave SW between Fairview Drive and S. Meridian. You can also park along 4th St SW or the green grass lot across from the red gate at the intersection of 4th St SW and 9th Ave SW.
Where is the entrance to the Fred Oldfield Western Heritage and Art Center? We are located inside the Red Gate of the WA State Fairgrounds — 9th Ave SW between Fairview Drive and S. Meridian. To the left of the red-roofed ticket counters — look for big blue hanging sign that says “Fred’s Creative Kids Art Classes.” You will enter through the black iron gate and then into the building on the left through the brown door.